In the world of Netflix, Amazon and Wag!, even the most market dominant businesses can be rattled by innovation. Perhaps most notable of industry disruptions is the subscription and delivery box phenomenon, steadily increasing in popularity and offering consumers the ability to sample products through recurring and curated packages. According to an in-depth survey conducted by McKinsey & Company, 15 percent of today's online shoppers have signed up for at least one product subscription, often through monthly boxes, offering "... often younger, affluent urbanites—a convenient, personalized, and often lower-cost way to buy what they want and need.." And while the wedding biz has made significant strides in online innovation via services like Pinterest, loverly and app on top of app, the box-to-door approach has been slow to materialize. Wedding planners are seasoned hustlers who help secure the best deals, map out event spaces and ensure every detail plays out as planned. They provide a roadmap to success; advising on everything from headcount to etiquette, but hiring a planner can be a major blow to the wallet, especially for budget-conscious couples. As reported in Wedding Wire's Wedding Planner Cost Guide, one can spend an average of $1,500 on planning fees (and sometimes more, like A LOT MORE). For many, it's hard to justify the expense when there are countless digital resources for self-planning. So couples must choose between two extremes - full-service assistance by hiring a costly professional or going at it alone, without adequate support or direction. Enter Pollyanna Events, a veteran events company redefining the industry with their newly launched wedding planner in a box product. 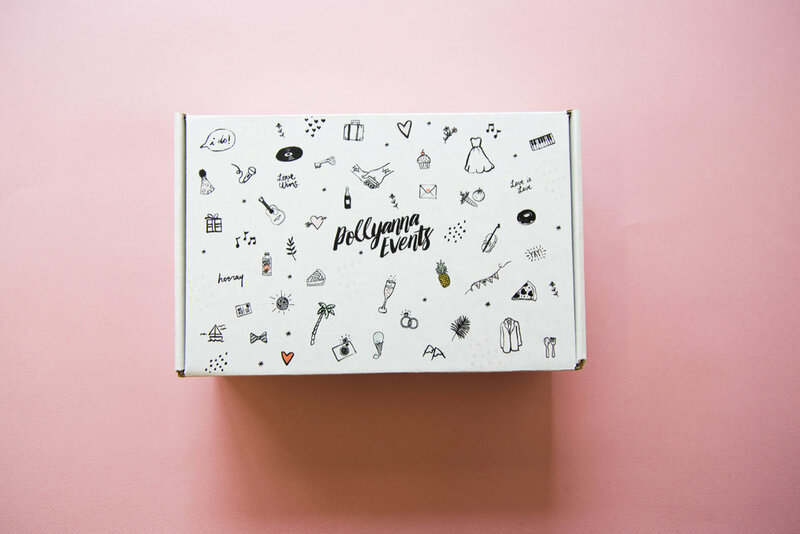 On the heels of Stitch Fix, Harry's and other subscription boxes, the Pollyanna Planning Kit delivers wedding essentials to cost-conservative couples at a modest price of $174 per package. Released in November, this adorable cartoon-covered bundle comes with all the essentials a couple would expect when hiring a pro without the gut-wrenching deposit. The main feature is a USB drive, pre-loaded with seating charts, spreadsheets, timelines and critical tips from experienced professionals. Sarah Campbell, Founder and Executive Planner of Pollyanna Events and mastermind behind the Box, created it to assist couples who can't understand the benefit of hiring a planner or don't have the financial ability to support one. "I started thinking about how to bridge that gap by providing couples with a solid amount of information to plan their wedding successfully," she explains. Committed to sharing her expertise with those who wouldn't otherwise be able to afford it, Campbell designed the Kit as a low-cost alternative product that gives couples another option in addition to Pollyanna's traditional planning packages. "The timeline and documents take them up to the month of the wedding so if they don’t have a planner, they can just fill in the blanks to customize it for their wedding," she adds. 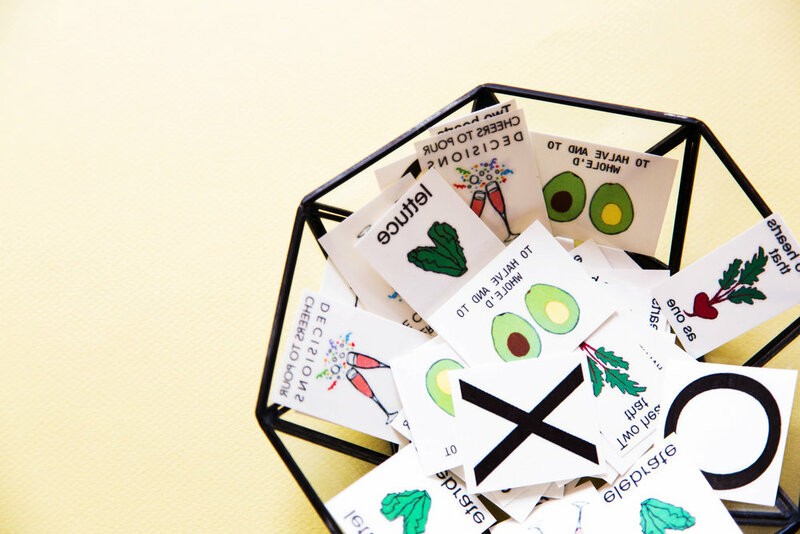 Opting to create a physical package rather than a virtual solution, Campbell envisioned the product as a gift idea for couples' friends and families. The whimsical pattern on the Box also allows it to become a design piece for the home. In addition to the basics, the carton contains a DIY project starter kit and curated products from some of the company's favorite vendors. From edible cookie dough to temporary tattoos, couples can sample items that can be easily integrated into their event. Campbell elaborates, "I try to pick gifts based on different aspects of a wedding to help couples think about what they might want...like little cupcakes, pies or a small dessert from a dessert table." Attached to vendor information, the samples help couples select curated options without getting lost in the cyclone of information available on the internet. The Pollyanna Planning Kit was not designed to replace wedding planners, but to provide access to benefits not readily available to couples working within tighter budgets. Campbell explains, "If people are spending a good amount of money and they want a planner, they hire a planner, but the Box is another option for people not to feel overwhelmed or stressed." Sold online via Etsy and the Pollyanna website, the Kit demonstrates the wedding industry's response to the current customer landscape, where a la carte options and door-to-door deliveries are the norm and either/or choices are obsolete. Enter for the chance to win your own Pollyanna Planning Kit by emailing your engagement story and a photo to hello@thefirstlookblog.com by April 11. We'll announce one winner on April 16 and feature their story on our Instagram! After experiencing much stress balancing her paralegal job in Ohio with planning her own wedding, Sarah Campbell decided to trade in a budding legal career for life as a creative. Along with her husband-to-be, she moved to Washington D.C, where she started Pollyanna Events. Fueled by a mission to help people, Campbell enjoyed networking, building her business, learning from other entrepreneurs and hearing their stories. Now with a team of five associate planners, Campbell leads Pollyanna to help couples create their dream weddings in New York, Connecticut, Washington, DC and across the country. For more information from Sarah or Pollyanna Events, contact her via the Pollyanna Events website.